Build your healthcare business by becoming an ISHE sponsor. 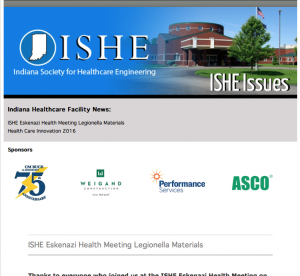 Brings together healthcare facility engineers throughout Indiana to develop solutions to common problems. Provides quality education and professional networking within easy driving distance. Provides Indiana-specific information that help facilities reduce costs and improve quality. How does that translate to your business? These healthcare facility managers are looking for services or products that can help them improve efficiency and patient care. Sponsor a Meeting Please read the ISHE Meeting Sponsorship Guidelines. ISHE provides healthcare facility tours throughout the year – this is one of ISHE’s highly-valued member benefits. The meeting sponsor is typically an associate member who has worked on a recent project with that facility. This meeting sponsorship allows the facility and their associate member supplier to provide a short presentation about the project, followed by an “insider” tour of the facility. Please see the ISHE Meeting Sponsorship Guidelines for detailed information and see an example presentation. 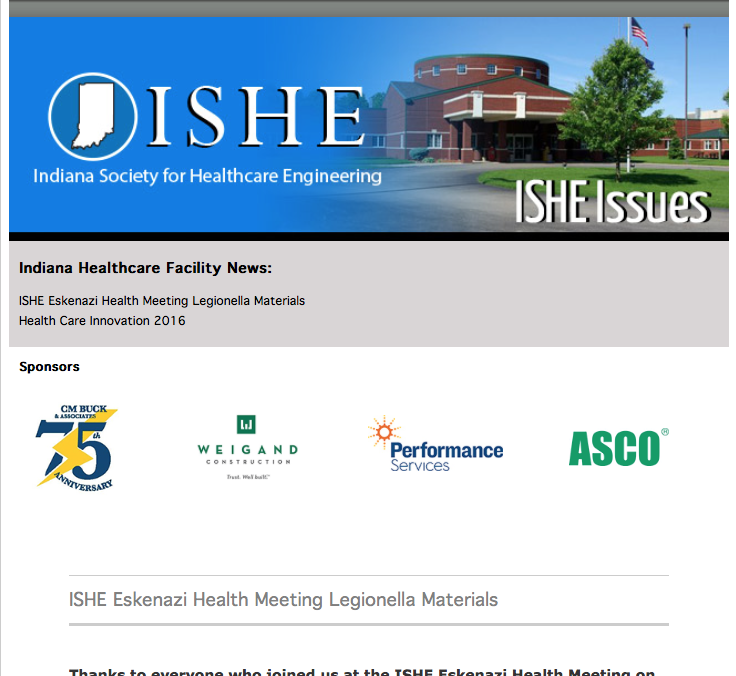 See the example below of the sponsor logos in the ISHE email newsletter.